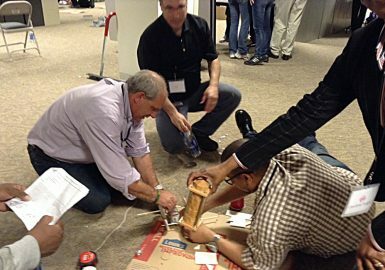 Looking for great team building ideas? Why not try a high-tech scavenger hunt! 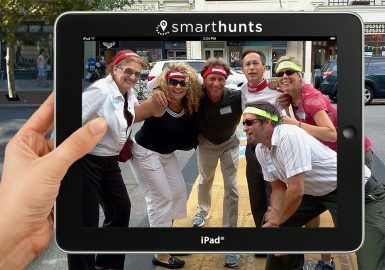 SmartHunts® are fun, challenging, hi-tech corporate scavenger hunts delivered on iPads® loaded with SmartHunts and Facilitator Apps. Our proprietary Apps utilize text messaging, audio, video, FaceTime®, QR Codes, iMovie®, social media, and GPS tracking to produce the best hunts and team building activities ever! SmartHunts are a combination of sightseeing, gaming, laughter, and team-building and can be delivered at any location in North America. 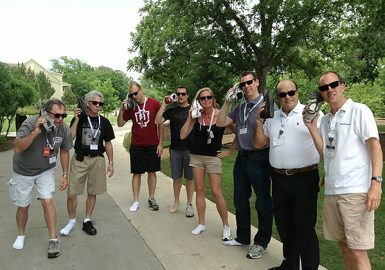 We give teams permission to have fun with a SmartHunt® that is customized for them and the area they wish to explore. Our final awards ceremony includes a live-feed slideshow from photos and videos shot by your teams during their adventure! 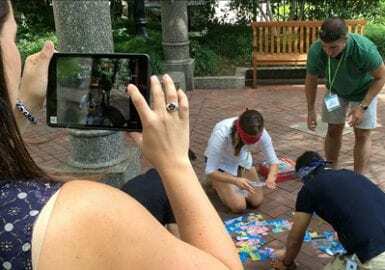 City SmartHunt® is not your average scavenger hunt. Using state-of-the-art Smart technology, we’ve created an event that your group will never forget. Each team is given Apple® iPads® loaded with interactive features like audio, video, FaceTime®, text messaging and GPS to help them complete challenges, find items and local landmarks, take photos and video of their adventure throughout, and more. In the spirit of our favorite culinary explorers, we are excited to offer you our delicious, high-tech, Foodie SmartHunt! Teams, armed with iPads, will search out local restaurants, cafes, streets vendors, food trucks, and farmer’s markets to sample and critique the local cuisine and refreshments during this one-of-a-kind Foodie SmartHunt. The object is for teams to taste their way to victory by sampling authentic local cuisine and scoring as many points as possible. Put on your dark sunglasses and get ready for a MISSION FROM GOD! Your group’s challenge is to save the orphanage and find The Blues Brothers, taking photos, video and completing other fun tasks along the way. 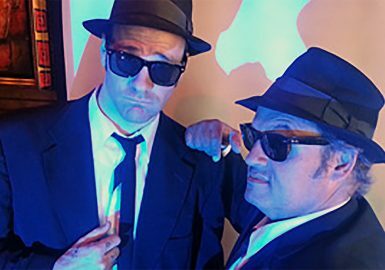 Once you’ve found Jake and Elwood, you’ll bring them back to the House of Blues for dinner, drinks and some serious get-down dancing. This SmartHunt® is offered at all House of Blues locations nationwide. 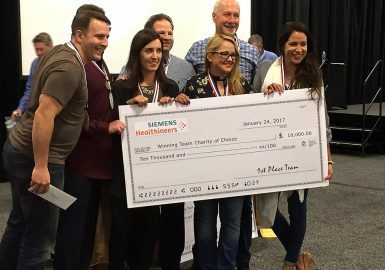 A team building scavenger hunt with a charitable twist, the Locate and Donate SmartHunt® will energize your group with a feel-good ending they won’t soon forget. After forming into smaller teams, participants will be given Apple® iPads® that they will use to follow a customized route, completing tasks to earn points along the way. Their journey ends with a donation to a charitable organization of your choice. 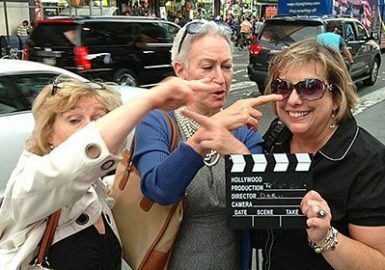 In Make-a-Movie SmartHunt®, your group will experience the full gamut of Hollywood filmmaking, from concept and budgeting to writing the script, casting, filming and more. Using SmartHunts® technology, Apple® hardware, and iMovie® software, teams are tasked to create a movie trailer while they follow the hunt route to scout locations and earn “cash” to finance their film. After a wrap party screening, judges will announce the winning team. In this fun, challenging and high-tech hunt, teams will be sent out on a mission-based adventure, (should they choose to accept it), collecting secret “intelligence”, breaking codes and engaging in covert spy operations. After receiving their instructions, teams must strategize on the best possible way to complete the mission and win. Armed with Apple® iPads®, participants will complete their tasks, touring points of interest and taking photos and video along the way. Take an old fashion code-based scavenger hunt with a map, written clues, and a list of challenges – throw away all the paper - add a cool Cryptex and cache of Apple iPads® – and you have the greatest thing since Da Vinci’s hand sketches: our high-tech, totally green, Mystery of Da Vinci SmartHunt! Your teams will be issued iPads loaded with the SmartHunt® App that will guide them on a journey to find a hidden Cryptex that contains the correct key to access the final location! Did you know that thousands of companies in North America, including over 75% of the Fortune 100, trust BEST to deliver the perfect program for their group? Our original programming, event apps, needs-assessment system, and experienced facilitators assure that we will always deliver the BEST Corporate Events. Furthermore, BEST is the largest provider of corporate team events in North America, delivering programs at any location with no travel costs. Our unique program lineup combines fun with a higher level of problem-solving, innovation, and strategic planning. 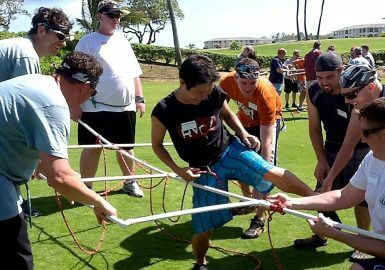 BEST events are designed to enhance individual and team growth through experiences that have a strong connection to teamwork, trust, and communication, solidifying the cohesiveness of your group while providing key insights and applicable skill sets.